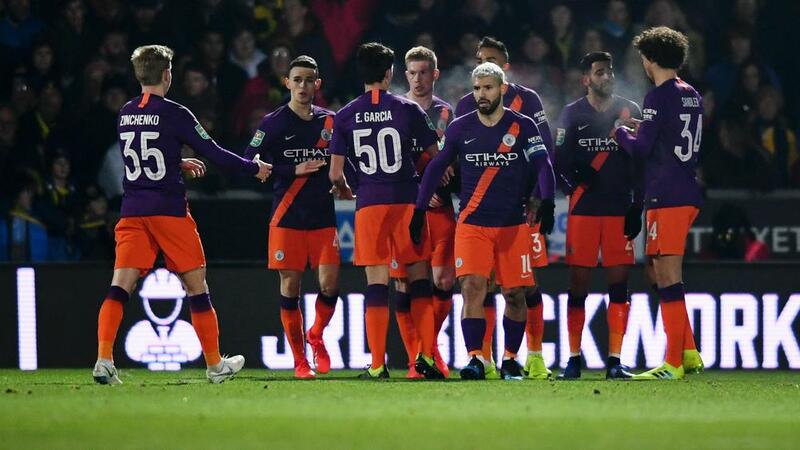 Manchester City completed the formalities of its Carabao Cup semi-final against Burton Albion, a 1-0 second-leg win officially punching its ticket to the final at Wembley next month. Having scored nine without reply in the first meeting, the second leg match was little more than a dead rubber and City wrapped up a 10-0 aggregate triumph, two shy of the record for the biggest two-leg margin of victory in the competition's history. That proved to be the only goal at Pirelli Stadium, leaving holder City to contemplate back-to-back Carabao Cup finals for the first time in its history, with Tottenham Hotspur or Chelsea its opponents on 25 February (NZDT). Last year's EFL Cup success was City's first piece of silverware under Pep Guardiola, setting the tone for a record-breaking Premier League triumph. If it can retain the trophy, it will be the first team since Manchester United to lift it in back-to-back years, the Red Devils having done so in 2009 and then again in 2010. City will now switch focus to the FA Cup and a home tie with fellow Premier League side Burnley at the weekend, while Burton resumes League One duties against Bradford City.